One of my favorite quotes is by Maya Angelou: “People will forget what you said, people will forget what you did, but people will never forget how you made them feel.” As kids, my sisters and I learned manners like not to throw tantrums or interrupt. While these rules often seem inconvenient to a child, in retrospect, they are some of the basic building blocks for something of great value – emotional intelligence (EI), which is also known as emotional quotient (EQ). 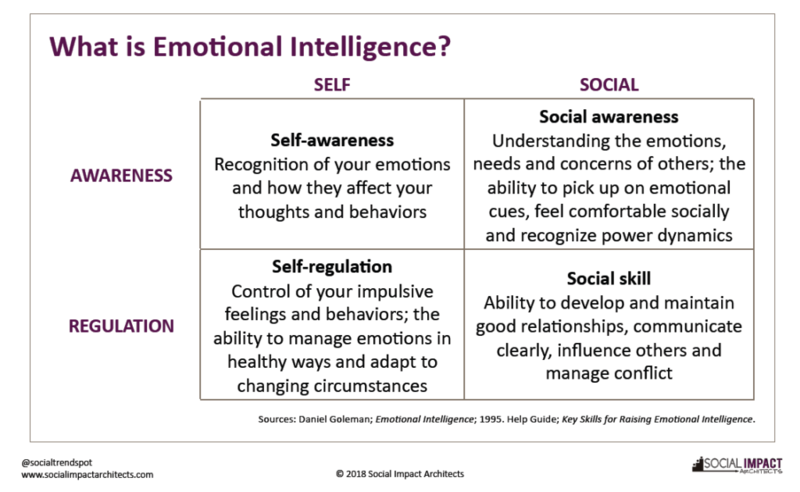 Emotional intelligence is the ability to recognize and regulate emotions and interactions with others; it consists of four capabilities – self-awareness, self-regulation, social awareness and social skill. Growing evidence suggests EI is increasingly important in the workplace. Employees can be the smartest in their field or the most renowned, but if they don’t possess these soft skills, they can wreak havoc in teams, burn bridges with stakeholders, stall progress and more. While the social sector is generally great at being mindful of others’ feelings, we have all likely witnessed major EI failures from individuals who always have to be on their soapbox or who show obvious disdain for colleagues who don’t agree with them. This also includes what we call the “niceness syndrome,” which sometimes can lead to avoiding saying what we think but sharing our opinions passive-aggressively. The goal of the social sector is to pursue excellence and create momentum on behalf of those we serve. Either extreme – being too nice or having too much ego – gets in the way of our work together. If we can build EI as a competency in the field, our organizations and communities will move farther and faster together. Hiring and promoting employees – Companies like Zappos and Google have been utilizing behavior-based interviewing, and even assessments, to screen candidates for EI. Given the cost of employee attrition, the social sector can save dollars and build capacity by selecting the best candidates for the job, including those who demonstrate strong EI. Helping employees improve with one-on-one coaching & mentoring – Employees have a range of skillsets, so no single employee will have everything you need. When new employees start, compare your needs against their competencies and provide coaching on areas of growth. Don’t assume they know where their habits or personality traits may hold them back from connecting with others. Address them directly and get them assistance so that they can become the top-notch employees your organization needs. Strengthening organizational cultures – The Yale Center for Emotional Intelligence seeks to boost students’ EI with the hope of creating supportive school cultures that are positive and free from bullying. Similar techniques can be implemented in the workplace to develop an environment where employees feel safe to share their ideas. Working with staff and even clients on bolstering EI skills can transform the culture of the organization and make it a place where individuals can reach their full potential, both intellectually and personally. To help form your own unique culture, start by developing and staying true to values. Building resilient organizations – Cultivating a resilient social sector organization that can readily bounce back from failures depends on building the EI of staff. Knowing where your team needs to build capabilities is paramount, and EI skills are not to be overlooked. The team’s ability to develop and maintain key relationships depends on strong EI skills. 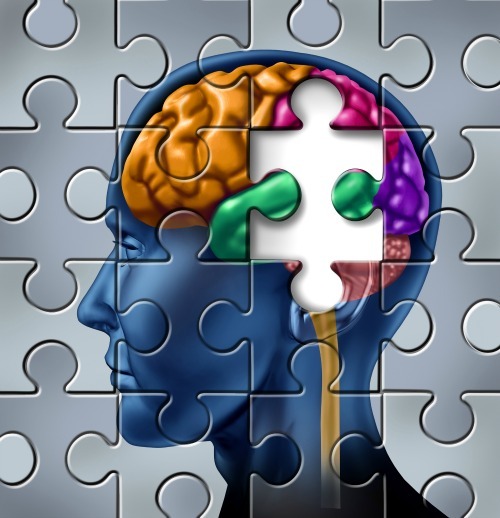 Having EI is critically important, not just at work, but in life as well. Knowing how to manage stressful situations in the most tactful way can spare hard feelings and deepen credibility. Tell us how EI has affected your social sector workplace and share your EI wins and losses with us. YES! You have touched on an area that is so relative to our Social Enterprise! At GROWING SOUND we create songs based on the latest research in social-emotional development of young children. If we teach these social skills to kids (especially early learners) they will grow to be “ready for school” and “rady for life”. Ready for Life includes being a good employee, a good person, spouse, parent, citizen! Learn about partnering with GROWING SOUND and our BEFORE THE BULLYING initiative which focuses on self-awareness leading to social awareness and more!